News reports about Facebook’s role in the aggressive form of data collection have raised serious questions about whether the company violated a landmark consent decree with a federal watchdog agency designed to prevent privacy violations. 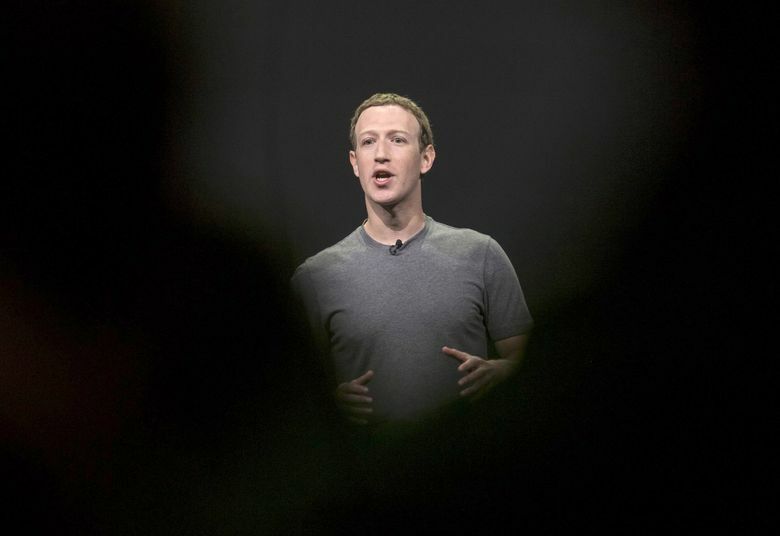 U.S. and European officials Sunday called for Facebook Chief Executive Mark Zuckerberg to explain how personal information about tens of millions of users ended up in the hands of a data-analysis firm that worked for President Donald Trump’s 2016 campaign — without the permission or knowledge of the vast majority of those affected. News reports about Facebook’s role in the aggressive form of data collection also have raised serious questions about whether the company violated a landmark consent decree with a federal watchdog agency designed to prevent privacy violations. Two former U.S. officials who negotiated the 2011 agreement between the Federal Trade Commission (FTC) and Facebook say the company may have broken its promises, potentially triggering many millions of dollars in fines. Vladeck said the law allows fines up to $40,000 per violation. With a reported 50 million people affected, he said, the “maximum exposure” could reach into the billions of dollars. It is more likely that, if the FTC found violations, Facebook would face far smaller but still substantial fines as well as other consequences. Facebook has denied violating the agreement with the FTC, which did not respond to requests for comment Sunday. But the surge of political and regulatory scrutiny over the weekend again turned a harsh spotlight on a company that has been scrambling to protect its reputation since allegations emerged about Russian agents using the social-media platform in an attempt to manipulate American voters during the 2016 election season and beyond. But the number of affected people was many more — likely in the tens of millions — because the data routinely available to app developers in that era also included information on a user’s list of friends, including names, education, work histories, birthdays, likes, locations, photos, relationship statuses, and religious and political affiliations. That kind of information is extremely valuable to political campaigns for tailoring messages, ads and fundraising pitches. “They say ‘trust us,’ but Mark Zuckerberg needs to testify before the Senate Judiciary Committee about what Facebook knew about misusing data from 50 million Americans in order to target political advertising and manipulate voters,” Sen. Amy Klobuchar, D-Minn., said in a statement. Rep. Adam Schiff of California, the highest-ranking Democrat on the House Intelligence Committee, echoed the call for Zuckerberg to personally appear for questioning on Capitol Hill. Facebook suspended the parent company of Cambridge Analytica and two of its former employees Friday for improperly sharing the data that was collected through the app and not destroying it at Facebook’s request in 2015. Cambridge Analytica has repeatedly denied wrongdoing or improper use of Facebook data. A key question now is what was allowed under Facebook’s privacy settings at the time Cambridge Analytica’s app was active, and whether those permissions were so broad that they allowed routine violations of the consent decree with the FTC. In a 2014 news release announcing new restrictions to its developer policies, a Facebook executive wrote, “We’ve heard from people that they are often surprised when a friend shares their information with an app.” That admission may indicate that Facebook users had not been given adequate understanding of how their data and their friend’s data were used by third-party developers such as Cambridge. In November 2011, the FTC faulted Facebook for making some information, such as users’ friends lists, viewable by the public without first obtaining those users’ explicit permission. The FTC also found that Facebook shared personal information with advertisers despite promising not to do so. The agency raised other issues about apps on Facebook that regulators said had access to more information than they needed to operate. Years later, though, the latest controversy is spurring demands for action, with consumer advocates saying the FTC is partly to blame because it did not penalize the social-media giant for other privacy mishaps.